It’s easier to use a tablet when you add a Logitech mouse to the setup. If you use your PC for games, connecting a specially designed mouse can open up a world of entertainment with faster, better gameplay at your fingertips. Using a tablet at work or college is great, however, keeping up and taking notes can be difficult when you’re using a touch pad to navigate through your apps. 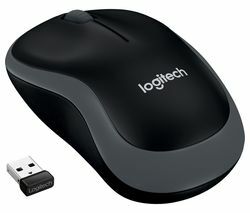 Connecting a Logitech mouse to your tablet will make it faster to open and close apps and keep the cursor where it needs to be. It can also make a big difference to gameplay when you add a Logitech mouse to your tablet or dedicated gaming PC. Our range of Logitech mice are easy to use and affordable and we even have a range of mice that are specifically designed with gaming in mind. Gaming mice have extra buttons and because they are ergonomically designed for comfort, you’ll be able to play for longer. If you want to take your gaming rig to the next level, try adding a Logitech gaming mouse and see how much difference it makes to your experience. If you’re looking for something reliable and affordable, check out our range of Microsoft mice. 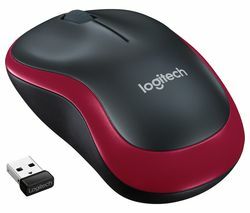 Whether you need a new mouse for your work PC or for your tablet or gaming set-up, a Logitech mouse is ideal.